Checking Google, it appears this just started after the latest MB update. Or is this something pertaining to TH site? It's been there for awhile , My Ublock Origin blocks it. It's part of the sites push notifications. Is that something TH will fix, or is it up to us to work around? Most likely a work around , it's been there for awhile. Not for me, it hasn't. Just started this morning. And I'm here every day. So, something must have changed. If you or one of the techs can assure me it is safe, I'll have MB exclude it. It is a bit of a nuisance. Thanks. Hey all, we are looking into this. 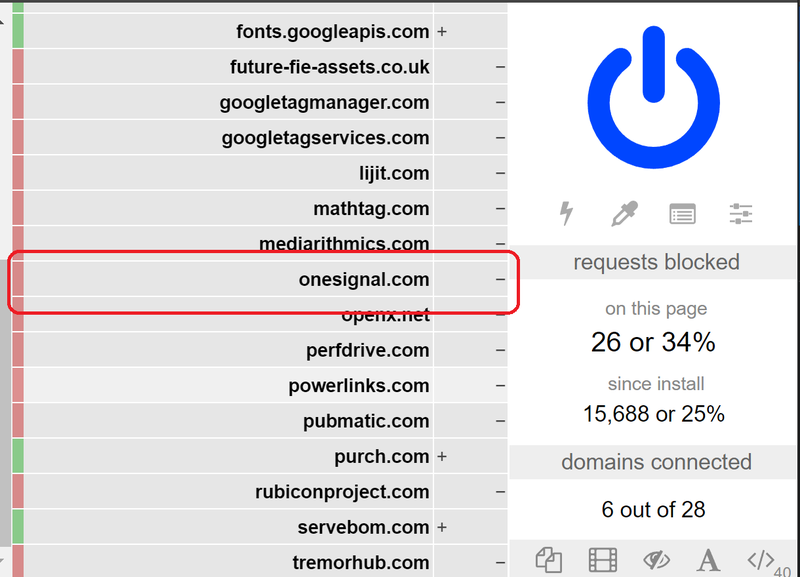 OneSignal is our notification system used on the editorial site, so it is in fact harmless. We're not sure why it's setting off Malware Bytes. FWIW, I also use Malware Bytes and haven't received a warning about PUP. I'll circle back here with any updates. Hey, thanks for the reply, Johnny5. Today the issue stopped. No more pop-up warnings. So, if you folks did something, thank you! If not and if it returns, I now know I can safely have MB exclude it. Forgot to mention, MB has done an update either yesterday or today. So maybe it was an issue on their part, and they patched it? Either way, all good today.